The orchards at Foundation Plant Services, University of California, Davis, are maintained as an elite source of propagation materials (G1) of commercially important Prunus scion and rootstock cultivars as part of the California Fruit and Nut Tree Certification Program. All material that FPS distributes is disease tested and professionally identified. The department serves the industry as a quarantine facility for importation of foreign selections and performs microshoot tip tissue culture therapy for virus elimination and qPCR and high throughput sequencing for virus detection. The two existing foundation orchards in the Goheen and Russell Ranch blocks consist of approximately 16 acres. The collection includes publicly available selections as well as selections maintained under exclusive proprietorship. 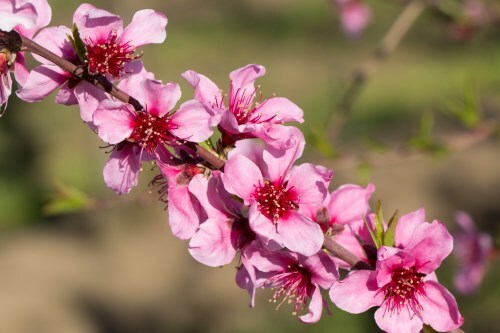 Additionally, FPS maintains and distributes proprietary Prunus selections from the UC Davis Plant Sciences Breeding Program and other licensing programs. The FPS fruit and nut tree collection contains 301 Prunus scion and rootstock cultivars represented as 1,445 trees. In recent years, the FPS Fruit and Nut tree program has grown significantly, with over 200 selections introduced for testing and treatment between 2016 and 2018. 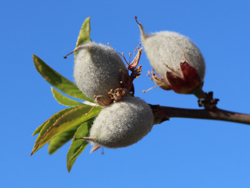 Each almond, apricot, cherry, nectarine, peach, and plum scion selection is planted in replicates of four; trees are indexed each year and maintained as budwood sources. There are approximately 50 rootstock selections which serve as a source of cuttings for vegetative propagation or seed. All foundation trees have been tested on a panel of disease indicator cultivars at FPS or have been obtained directly from the Clean Plant Center Northwest, Washington State University, in Prosser. Each year, on a rotating basis, one-third of the trees are indexed on the indicator P. serrulata cv. 'Shirofugen' and the remaining two-thirds are ELISA tested. University plant pathologists, California Department of Food and Agriculture, Yolo County USDA, and FPS staff visually inspect the trees each spring and summer. FPS distributes plant material primarily to California nurseries but accepts material requests from nurseries and growers throughout the United States.